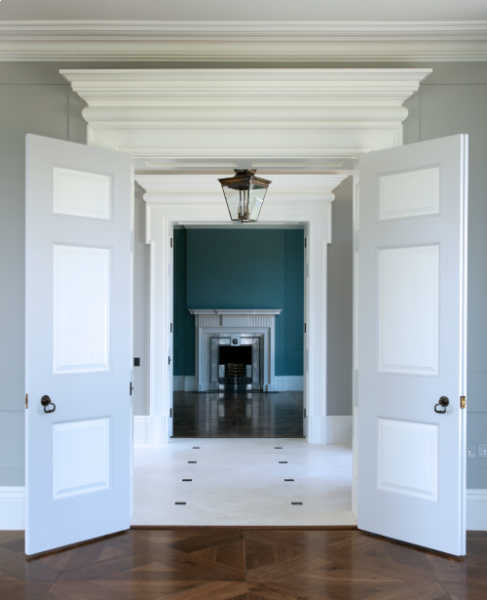 Double doors are bold, they make a statement in any room. Doors represent a connection between two rooms - they can be expressive or understated, depending on the materials, colors, and shapes selected. They give a grand appearance and can transform and open up any space. We are experts in manufacturing double doors so let us make you the perfect set of double doors at affordable prices. The range of double doors include bespoke moulded double doors, We also make made to measure glass double doors. Trunk also have the capabilities to design and make folding and sliding doors to the every required specification. Bi-folding doors are a great way to save space in your home, with sliding tracks and the correct hinges this style is easily achieved. 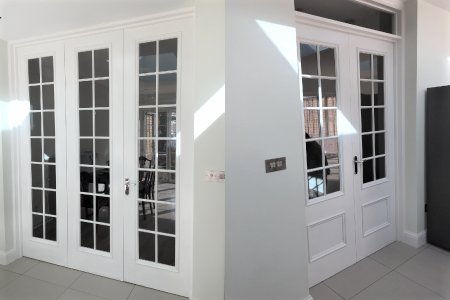 We have the capabilities to make double door sets, with the choice of french doors, room dividers, folding doors, and bifold doors the choice of bespoke doors is limitless. Trunk also offer a rebate for double doors, The "rebate" relates to allowing the two doors to overlap where the meeting rails of the doors join when closed, machining a rebate is when half the "thickness" of the door is channelled out (for want of a better description) to allow the doors to interlock by 12mm, you can also choose to add the rebate if you have the correct space within your frame where the doors will be fitted. Have a double door style in mind that's not on our website? Get in touch and the Trunk team will offer a free consultation and guide you with expert advice.